These instructions and tutorial will show you how to use paracord and sticks to create a basic snare that will increase your probability of catching something in the wild. Let's get started on this cool paracord project that is one of our favorite survival DIY ideas! Put on your gloves to cover your scent. 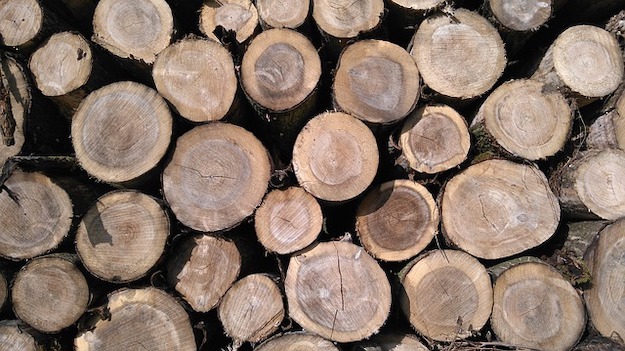 To get started, grab your stick and remove some of the bark with your axe. Using your ax or knife, put a point at the end of the stick. This will aid in pushing it into the ground. Grab your paracord and measure out about three hand lengths of cord. Pull out the center strands. You will only need to use one strand for this snare. Get your knife (or ax) and stake. Make a notch on the opposite end of the point you just made. This will keep the paracord string in place. You are ready to set you trap. Go to your site and hammer the stake in the ground at an angle. 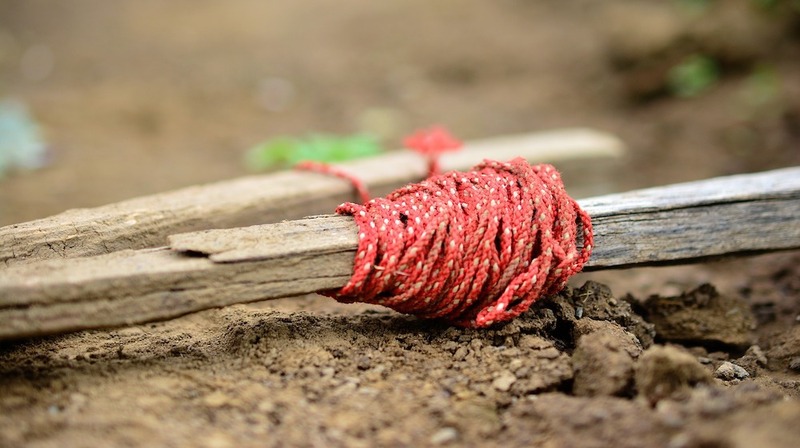 Use sticks to support the opening of the noose knot. Good luck! We hope we helped you learn how to build a snare trap! Like Us on Facebook (button below) to get the latest updates on everything DIY related! Looking for a list of Cool Paracord Projects? Want to make your fuzzy friend a gift? How To Make A Paracord Dog Collar? What about a monkey fist? You can even make belts with paracord! Also, just finished compiling our How To Make A Paracord Bracelet List! You can get your pig with a shotgun better than you can snare him. But if you must, try a log drop snare triggered by a figure 4 trip. Make sure the log is heavy enough to lift the pig off the ground when he gets snared and trips the trigger. This will show you how to catch anything from birds and squirrels to pigs and bears. Happy Hunting and Preparedness! 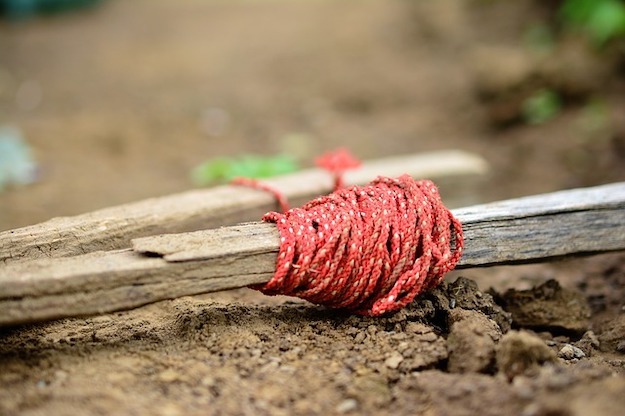 While this is an excellent Idea another way of doing this is if there is a sappling nearby you can bend the sampling down and use a strand of paracord to tie it bent over using a small stick, THEN have the noose going from that strand or from the small stick. That way when a critter gets inside the noose he will knock the small stick out of the ground and the sampling will snap up killing it really fast. You could even put a bell on the sappling so you know when the snare is tripped.